Location: In the middle of the Padarn Country Park, Llanberis, North Wales on the A4086 trunk road. A555 motorway, exit Bangor, A487 or A4087 south towards Caernarforn, after 1.5km leave road onto B4547 towards Llanberis. From Caerarfon A4086 to Llanberis. 500m after Llanberis turn left to the visitor center. Open: Easter to OCT daily 10-17. NOV to Easter Mon-Fri, Sun 10-16. Classification: Slate Mine, slate quarry, opencast. 1788 Assheton Smith paid bailiffs to evict people out of their quarries. 1870 workshops for the Dinorwig Quarry, now the museum buildings, built. 1900-1903 Penrhyn Strike, one of the longest in British labour history. 1964 Penrhyn Quarry purchased by the Alfred McAlpine company. 1969 Dinorwig Quarry closed, museum established. 1972 museum opened to the public. Image: The large, 50ft waterwheel. © Peter Challis. 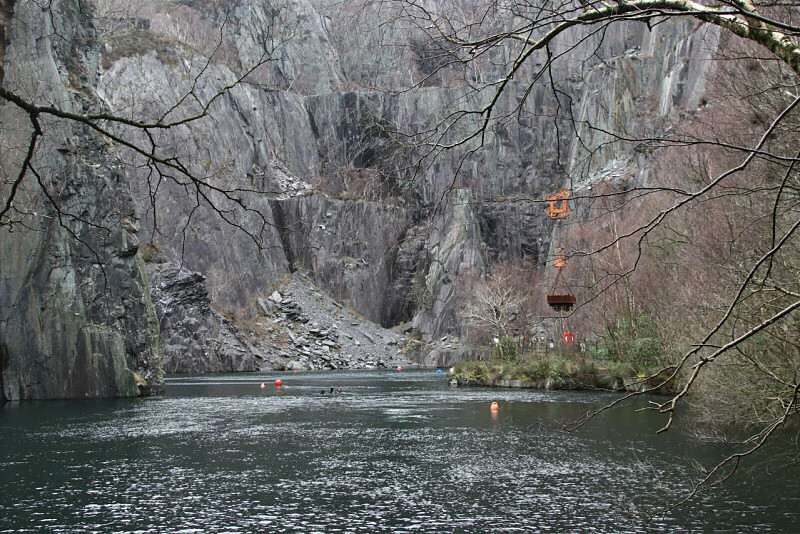 The Welsh Slate Museum is situated in the disused Dinorwig slate quarry. Features include a Victorian Workshop where traditional skills are used to split slates by hand. There are regular demonstrations of Brass casting and a Blacksmith at work. There is a unique 3D film show To Steal a Mountain. 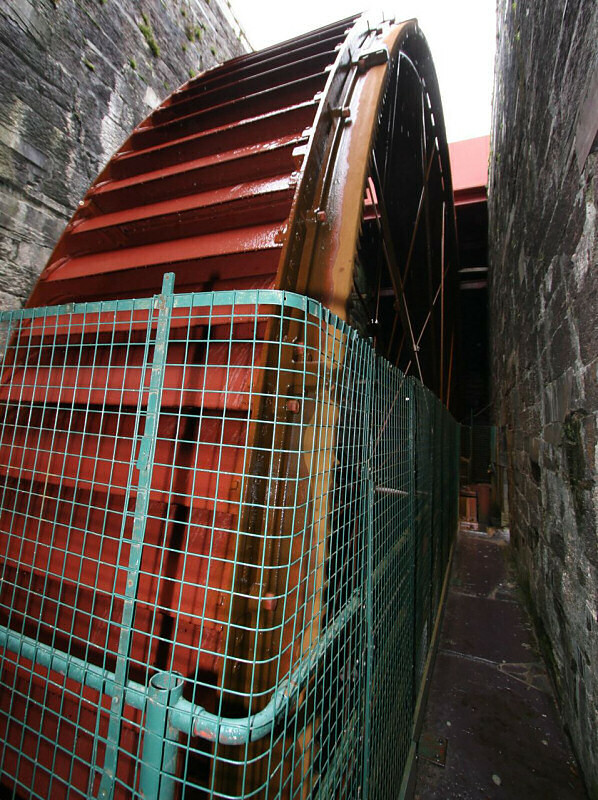 The giant waterwheel is claimed to be the largest on the British mainland. 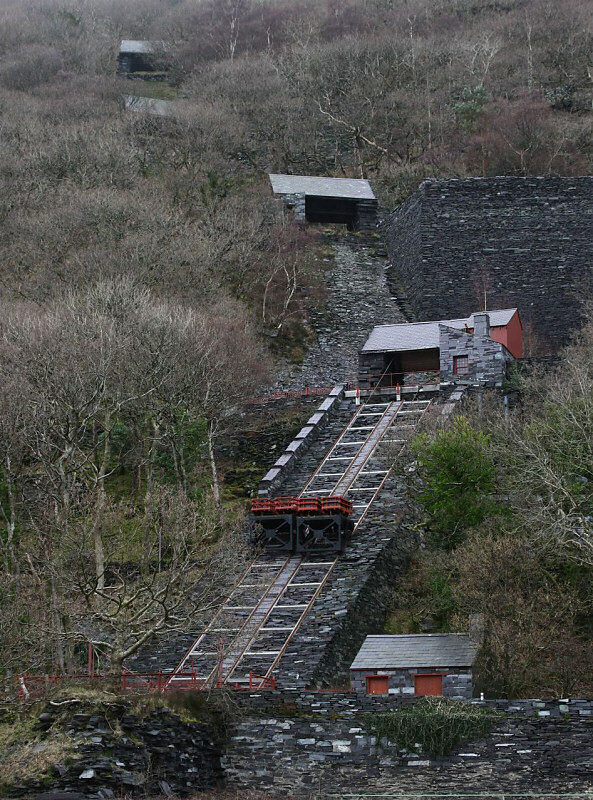 The restored incline, used to carry the slate down from the quarry face is the only working example in Britain. A terrace of quarrymens' houses from Tanygrisiau has been re-erected, stone by stone. These quarrymen worked in the underground quarries at Cwm Orthin. There is the Ffowntan Café, named after the slateworkers' tea urn and of course the obligatory gift shop. Allow a whole day as there is so much to see and do. Text by Tony Oldham (2002). With kind permission. Local people have been working the mountain for centuries, during the Medieval the slate was mined in tiny quarries. But in the 18th century some families tried to unite the quarries. At the end of the 19th century, almost all land in Gwynedd was owned by five families. There was a yawning divide in living standards between the owners and the quarrymen. 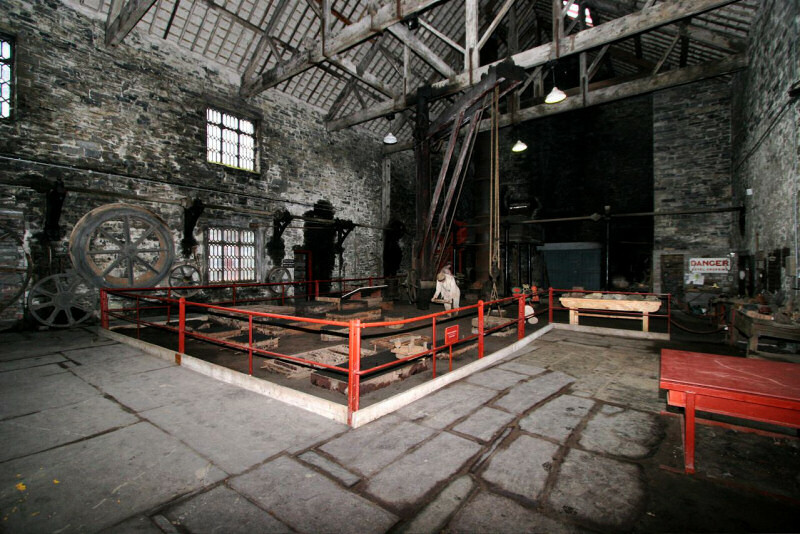 The Welsh Slate Museum, official site.